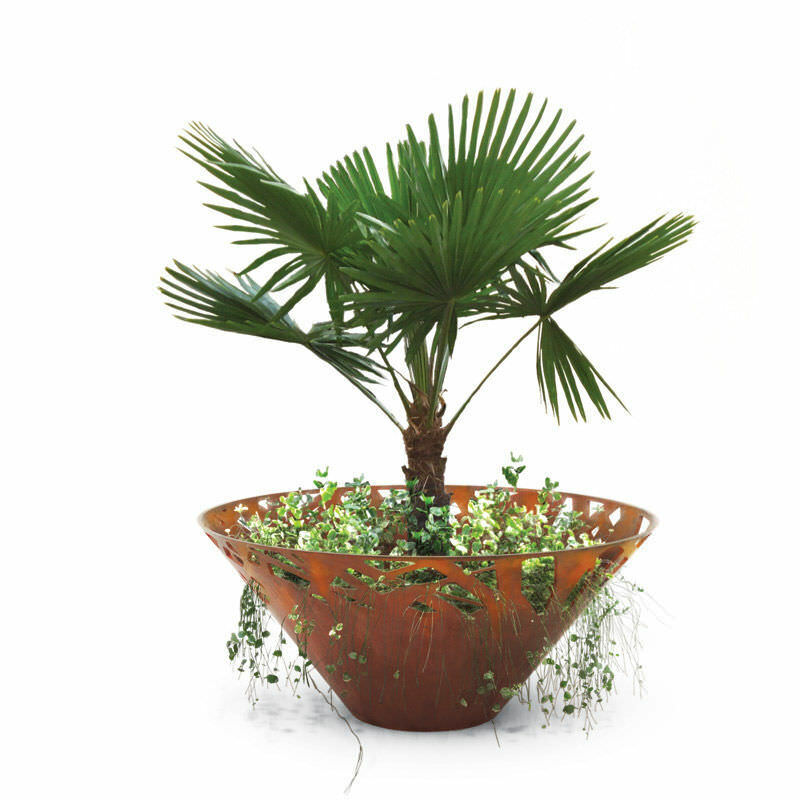 The planter CROSSED is made in steel 30/10 thickness. 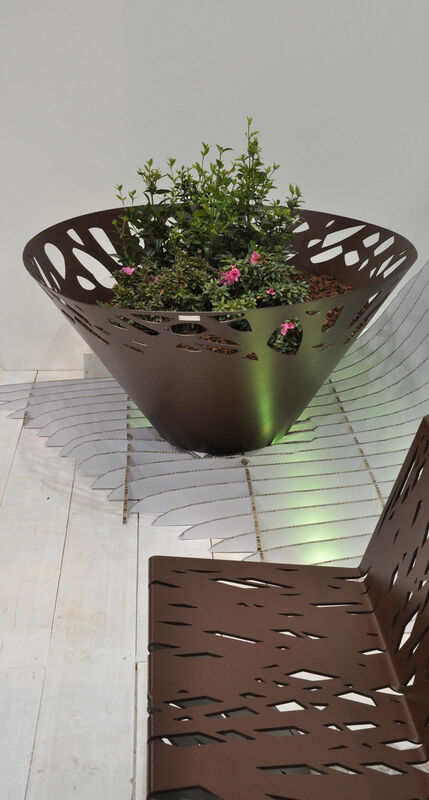 The upper surface of the planter is characterized by a laser-cut texture called CROSSED. 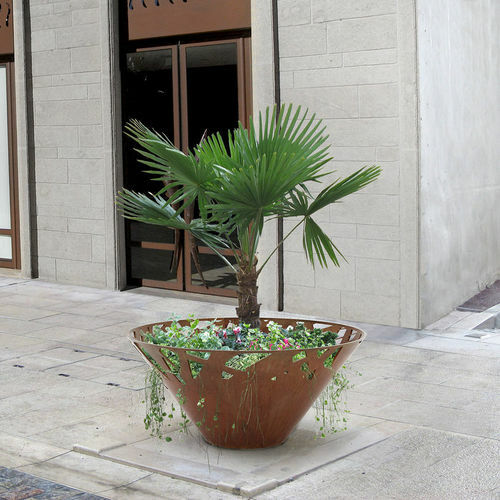 On the bottom of the planter a drain pipe, made in tubular steel, section 16X2 mm, H 50 mm, is welded. Besides there are 4 holes 12 mm diam. for the fixing to the ground through specific bolts (not provided). 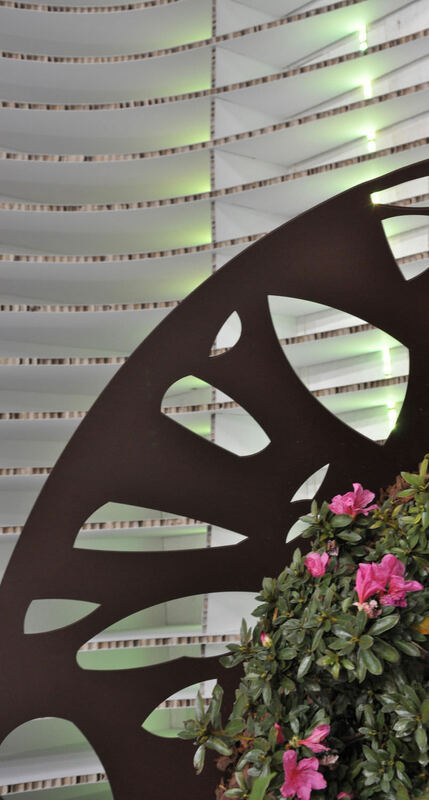 For the realization of this product, Steel EN10111DD11 is used and later treated with a cycle of sandblasting, cataphoresis and polyester-powder coating with RAL colors at choice. Such cycle is meant to guarantee the protection of the painted products in an environment of C4 corrosion class - UNI EN ISO 12944-2. As an alternative to steel EN10111DD11, the production in corten is also available, on demand. In this case the material is treated with a specific oxidation process.